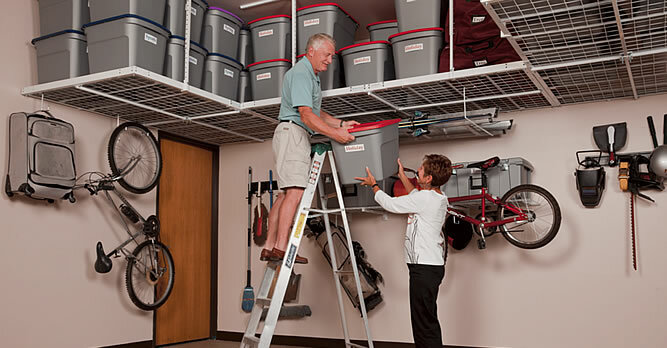 Great hook for ladder storage. Multiple folding chairs. Great hook for shovels, ladders, picks, etc. Superb hook for tool boxes, cords, air hoses, buckets, etc. Great flexibility for LARGE TIRE bicycle storage. Will hook the Front tire of bicycle and then swivel right or left for compact storage. 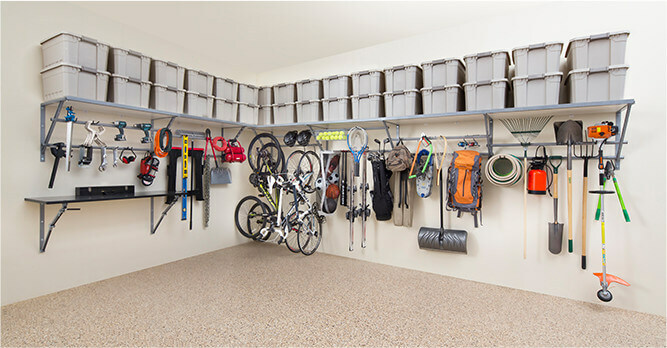 Great flexibility for bicycle storage. Will hook the front tire of bicycle and then swivel right or left for compact storage. All of your riding gear. Perfect solution for the tight spaces in your garage. Place a couple of these just under your garage door rail. Allows for great flexibility and quick access. Price is per unit. Accessories are additional cost.